On the 28th of May Moscow for the first time hosted a famous international bathroom interior design contest organized by the ROCA brand and dubbed ONE DAY DESIGN CHALLENGE. 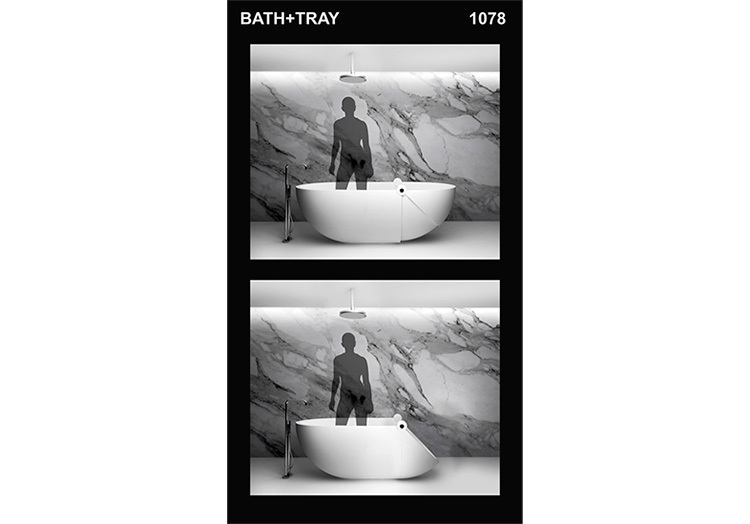 230 participants had just 8 hours to generate super innovative modern bathroom solutions. And the jury represented by professionals of the Roca Company had just 2 hours to assess all the works and select three winners. According to the rules of the contest, it’s available only for qualified designers and students studying architecture and design and aged under 30 years. The participants were split into 122 teams – such a format was meant to reveal talents of the youth and let them have genuine brain storms. So, let’s have a sneak peek at the three award-winning projects, which impressed the jury more than other 119 ideas. The first prize, which was equal to the sum of 5,000 Euro, went to the “BATH + TRAY” project by Angelica Filatova from the Studioplan. She managed to face the permanent problem of choice between a bathtub and a shower cabin in an elegant way – by combining a full-fledged bath and shower tray via a mobile side wall in a single unit. The 2nd award (3,000 Euro) was given to the “SPORUL” project created by the VOSQ team – Nikita Kolyadin, Nikolai Yudin and Stephan Pyanych. The construction worked out by them consists of a few stripes of stretching material, which allows for adapting a bathtub to the needs of different categories of users, including babies, the elderly and the physically handicapped. 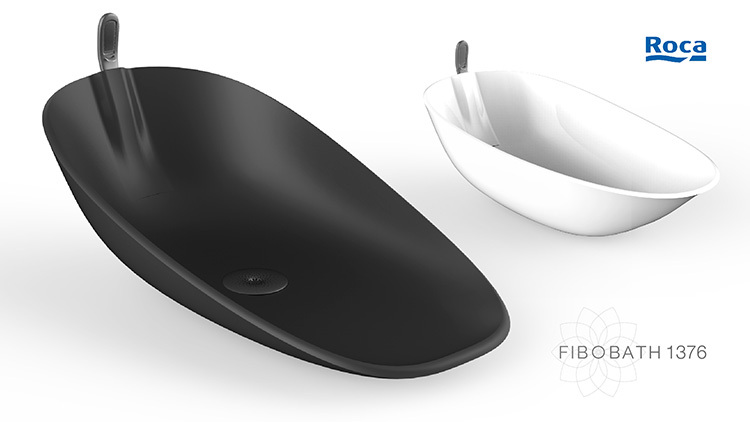 The third place was taken by the “FIBOBATH” project created by the couple of Dmitry Ponomarev and Anna Reshetnikova from the SMIRNOVDESIGN and Kirill Saldaev from the ObjectLab. 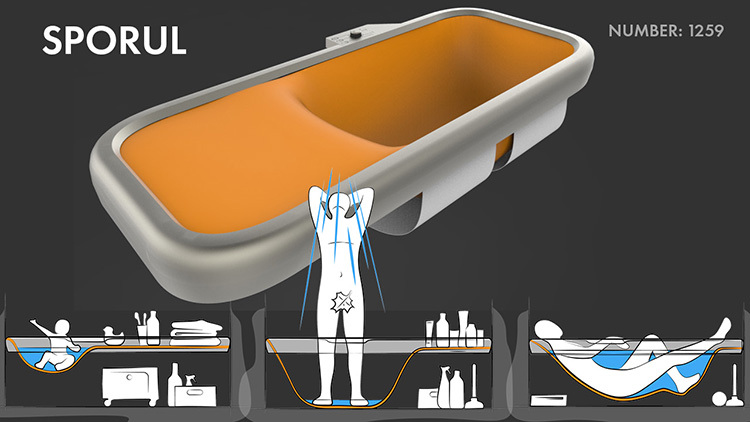 Their idea was to create a transformable framework based on the Fibonacci mathematical formula, which would increase ergonomics, safety and durability of a bath.